Break down a story or play into the 5 dramatic acts, describing each one to better understand the story and plot layout. 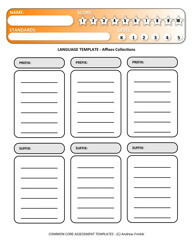 Collect lists of words with specific prefixes or suffixes with this vocab collection sheet. Organize definitions on these three forms. 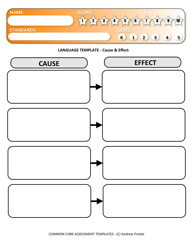 Write about plot, settings, characters or cause and effect on these templates. 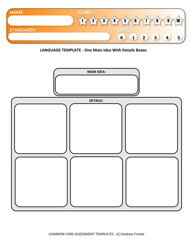 Organize Main ideas and Details with these 2 organizers. The second one could even be used to compare and contrast. 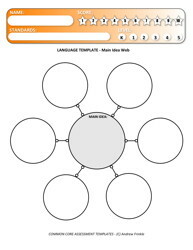 This is another way to organize main ideas and details in a web graphic organizer. 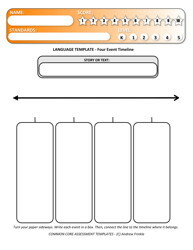 Write examples of parts of speech and use them in sentences on these organizers. 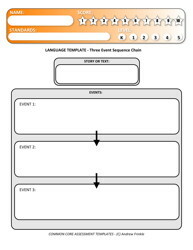 Keep track of sequences of events in stories. These can make great writing planners, too! Versions include 3, 4, 5, or 6 events. 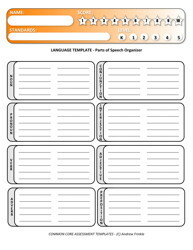 These are great for social studies or reports. Keep track of events and put them on a timelines. 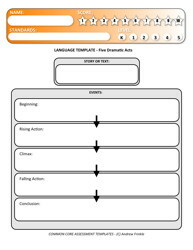 They can also be simplified with a start and finish to show events in simple stories. 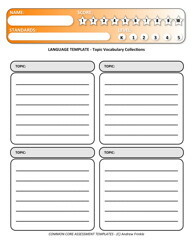 Collect topic-based vocabulary for different subjects. Great for word lists! 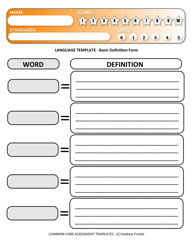 Collect words with similar or dissimilar meanings with this synonyms sheet, which could also be used for antonyms. 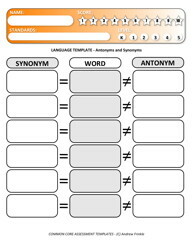 Find the root words or synonyms and antonyms. Great for new vocab!